My husband and I recently had a little boy, his name is Max and he is amazing! Long before the little guy was born I started thinking about the centerpieces for his bris (religious circumcision ceremony). By long before, I mean at my 14 week ultrasound when the technician told me there was a 50% chance that we were having a boy. I had a bunch of ideas but had trouble settling on one. I wanted to incorporate his name as well as the details of his birth (height, weight, time of birth). I finally landed on the idea when searching through a commercial packaging catalogue...custom paint cans!!! We designed a label to wrap around the can. 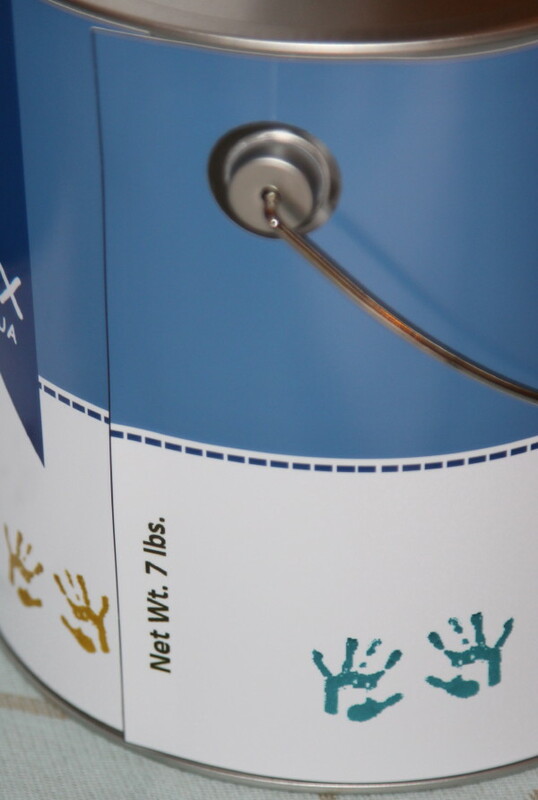 Doing so allowed us to personalize the paint cans with information about our little boy. We branded the product with his name and incorporated the birth date and time on the bar code, our names as the distributors and where Max was made! We also included his weight as the weight of the product. We held the bris at our home and did a buffet style breakfast. So we only needed one centerpiece for the buffet table. 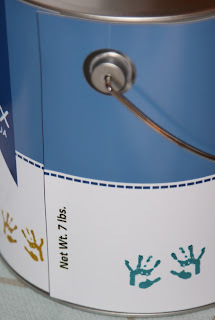 To create impact, we piled 4 paint cans (3 as a base with one on top) and placed blue hydrangeas in the top can. This can be used as a centerpiece for any party and would be great for an art themed party. It can be used as packaging for loot bags or for welcome gifts for a wedding (great for an artsy couple). If you're using the paint cans as vases, make sure to test that they're water tight. The paint cans you get at craft stores are often decorative and not water tight. If they're not watertight, just slip a low vase into the paint can. Use a scrapbooking punch to cut the holes for the handles (we cut a little slit from the top of the hole up so that we could slide the handle through). 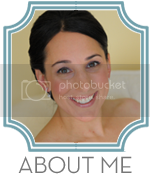 When designing the label, measure where the hole is and print drafts before you take the labels to print. Make sure everything lines up correctly. Leave enough room on the label for a slight overlap (about 0.25 inches should be fine). Consider printing your labels at Costco. We managed to print 5 labels on one sheet (3' x 4') for $20, which is a fraction of the cost of the printing centers. They even did the cuts for free. Just save the file as an image and you'll be good to go.